In the world of property claims, having accurate and available information is vital to getting repairs done quickly and properly. This, in turn, helps to create the best possible situation for the policyholder who just wants the disruption to be dealt with and completed as quickly and smoothly as possible. To make sure that our clients have access to this much-needed data when they actually need it, we’re excited to have announced our integration with EagleView data, that can be automatically be accessed through Symbility’s core claims estimating products. EagleView Technologies is the leading provider of aerial imagery and data analytics for government, insurance, and commercial sectors. With an extensive image library of over 350 million aerial images and the measurement data to go along with each of those, EagleView has one of the most comprehensive databases for property data in the world. Now, that library can be conveniently accessed directly through Symbility’s cloud-based claims management platform in a matter of moments. Until now, if carriers would require access to property image data, they would have to request specific reports and wait for those reports to be created and sent to them. This process severely ate into the time it would take to get a claimant’s repairs started and meant that adjusters would have to reopen claim estimates once the report actually came in. Now, EagleView reports can be ordered before the FNOL phase of a claim is even complete, through Symbility’s Claims Connect and Desk Adjuster software or via Symbility’s API. Field adjusters and contractors can also easily access diagrams from EagleView on the Mobile Claims application. Symbility is all about making the claims process faster and more efficient. 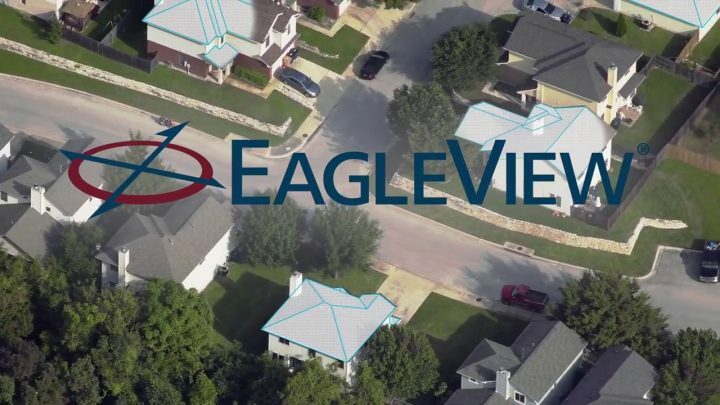 By integrating EagleView’s property image solutions directly into our software we’re creating a more efficient workflow for those that rely on this data on a regular basis, whether you’re a carrier processing a claim or a contractor working on-site to repair a property. By eliminating the need to order an EagleView report separate from the rest of your workflow, you can now get your claims processed faster and your policyholders’ repairs done quickly, saving everyone time and money, which makes everyone happy. If you’re interested in learning more about the new EagleView integration with our software check out this press release or better yet, contact us directly and we’d be more than happy to show just how much this partnership can help your workflow.